We know that being a parent can be a busy job, and you can’t always be there to watch your baby while they nap. Luckily, a baby monitor can be a lifesaver for busy parents like you, because they allow you to keep an eye or ear on your baby while they nap while you get your chores done around the house. Of course, it’s important to read baby monitor reviews when looking for the ideal baby monitor for your personal needs. There are a few different types of baby monitors out there, and it’s definitely important that you choose the right one. The type of baby monitor you choose will depend on a few different factors, and here’s what you should keep in mind. It’s not hard to choose a good baby monitor as long as you know what type of monitor is best for you. Here are some simple instructions on choosing a quality baby monitor that is sure to satisfy you. 1. Decide on the type of monitor which is best for you. 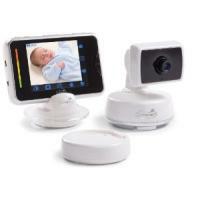 Video/audio monitors consist of a small wireless video camera and either a handheld or small visual monitor that allows you to not only hear your baby, but see them, as well. Audio monitors will allow you only to hear you baby. Obviously, the video monitors let you keep a closer eye on your child, and will make you feel more comfortable in leaving your baby alone, but on the other hand they’re more expensive. 2. Take into account the size of your home as well as the range of the baby monitor. The range that the baby monitor can be used depends on the model, so be sure to keep a close eye on this factor. It’s also true that some baby monitors will be hindered by things like concrete walls or metal. 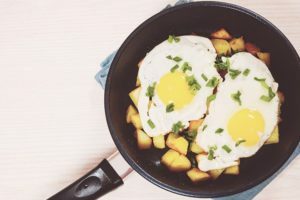 If you live in a small, simple home then this likely won’t be an issue, but if you plan on using your baby monitor over multiple floors, you may need a more powerful monitor. 3. Think about possible interference that may hinder the signal of the baby monitor. If you live in a city, things like cellphone signals, cordless phones or other wireless devices may interfere with the baby monitor. If this might be an issue for you, make sure you choose a baby monitor that offers a choice in channels, which should help avoid this being a problem. Something else to think about when reading baby monitor reviews is the features that can be found in them. Here are some of the things you’ll want to think about when shopping around for baby monitors. Power source — While battery-operated baby monitors and receivers can be convenient, remember that they tend to go through batteries rather quickly. We would recommend a model that can use either A/C power and/or rechargeable batteries. 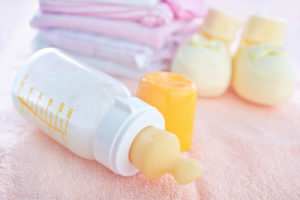 Volume controls — Having the option to change the volume of the receiver is very handy for times when you don’t want to hear every little sound your baby makes. Multiple receivers — If you are going to be using your baby monitor receiver in multiple rooms, consider a model that comes with multiple receivers. This can be much more convenient than having to bring the receiver around your home. Size — Opting for a baby monitor with small, light-weight receivers might be something you want to consider. While some monitors come with larger tv-style receivers, this isn’t always the most convenient. If you plan on being around different rooms of your house, going for a receiver that’s small and portable might be the better choice. Our choice for the #1 baby monitor is the Motorola MBP36. It’s simply the best baby monitor money can buy, with a lot of great features that make it stand out from the crowd. We’ve written a full review on the MBP36 and it’s little brother the MBP33 that you can read right here. While it’s not the cheapest monitor on the market, it’s definitely the best. If your budget is smaller, consider the MBP33, which is nearly as good but is quite a bit cheaper. 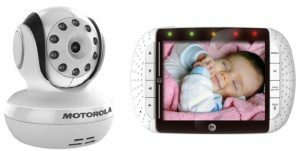 Best Price Alert: As of Sunday, Apr 21, 2019, the Motorola Digital Video Baby Monitor has the lowest online price at Amazon, with free shipping and a huge discount from retail price. It also comes with no-hassle free 365-day returns in the case you aren’t happy with it. Just click here to see the MBP33 or click here to see the MB36 at Amazon! If baby is inexplicably crying, this could be why. Because bug bites can bug baby. As though teething wasn't tough enough on its own.